Taha Man and Van Removals Company Brent: While choosing a perfect Man and van Brent there are certain guidelines to follow. A good Removal Company offers competent men with friendly and courteous behavior. The workers should know how to work efficiently under pressure. The services have to be flexible, affordable and credible. Most importantly, hiring a registered company and safe and save you from scams. 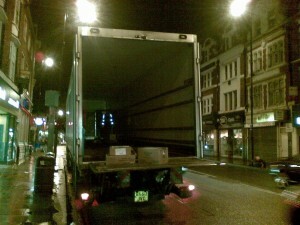 Taha man and van Removal Company are offering its removal services in all regions of London and Surrey. We have separate departments for districts in London and Surrey. For instance; we are present in Ashtead, Blackheath, Clapham, Wimbledon etc. Similarly we also offer our man and van Brent removal services. We surely have a vast network but, we never compromise on quality. We offer top quality home move and office services for people living in Brent. Hiring Man and Van Removal Brent is very simple. You just have to give us a call and get a free removal quote because it will give a brief idea about the price, time and other things happen in removal. We provide flexible house removals services. You can call us for more men on your moving day because the task cannot be accomplished by you alone within deadline. We will arrange the men right away and send them over. They will finish their task as quickly as they can. They will work smoothly and efficiently. We plan your removal in such a way that everything will be finished and you will have a stress free day after all. Offices contain many types of fragile material and heavy, but sensitive material. Losing or damaging any single item can cause severe harm to the finances of the company. Providing the removal service in the corporate sector is a big responsibility we have to pay extra attention to packing, loadings, transporting, unloadings and unpacking. Usually students and single individuals who live alone require simple man van service as they have furniture of single bedroom and few moving boxes. In this scenario our man and van service is very beneficial and highly recommended by old clients. It is affordable and reliable. We will also provide you complete support in packing, loading and disassembling or assembling of furniture. This is an exclusive service for people living in Brent. If you are a music lover and own a piano and love your piano, then for the relocation of this piano you need our service. We provide you exclusive special piano removal service. The workers are trained specially to remove piano because it is a big sensitive instrument. Hire man and van Brent if you need any type of house removals, office removals and piano removals services. If you want to know any further details about our services give us a call or request a call back to get a free quote we never leave any of our client unattended, send your query at info@manandvan-removal.com. We also provide Man and van Harrow service, Taha Man and van Removal Brent offer the Services for all boroughs of Greater London. Man and van Removal Brent.